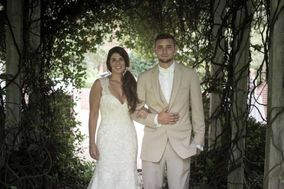 Capture the spirit of the South by getting married at one of these Columbus wedding venues. 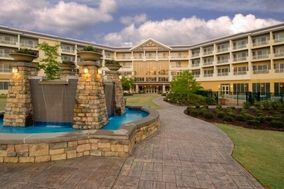 You’ll find a variety of venues in this western Georgia city, from rustic farms and art museums, to grand country clubs, and historical buildings. Start browsing Columbus wedding venues below. Looking for a spot to tie the knot? Look no further than Columbus. 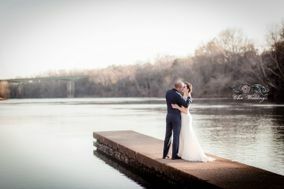 Georgia's third-largest city is one of the best kept secrets of wedding planners. 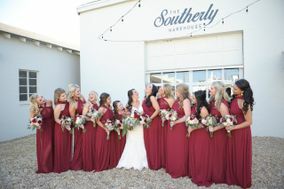 This vibrant city is home to an exciting culinary scene, bustling nightlife and some of the most gorgeous wedding venues in the South. Many couples marrying in Columbus chose to do so in one of the area's museum spaces. 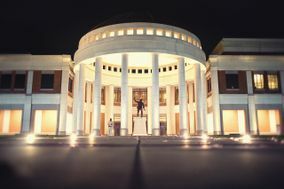 The city is home to a number of elegant institutions that transform from gallery into wedding venue with ease. 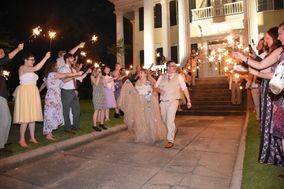 In one Columbus museum, a covered New Orleans-style balcony serves as a picturesque place for a rainy ceremony. There's perhaps no place more perfect for a Columbus wedding than the many lush gardens in the city. Nestled in the heart of uptown, beautiful courtyards and atriums give way to fragrant flowers and scenic vistas. Wrought-iron fences add a French Quarter feel to a space where couples have tied the knot for decades. 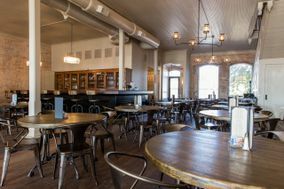 Wedding guests will enjoy uptown's offerings, especially when it comes to hotels. 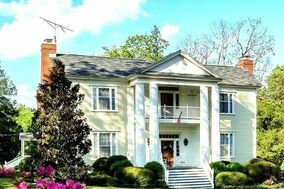 There's no shortage of affordable, relaxing spots to stay in Columbus, with most hotels averaging just $125 per night. Head 45 minutes north of Columbus and you'll find yourself in wedding venue wonderland. 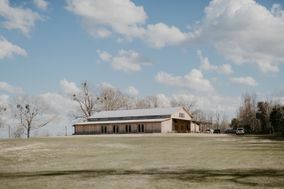 Pine Mountain is a tiny town full of gorgeous wedding venues. 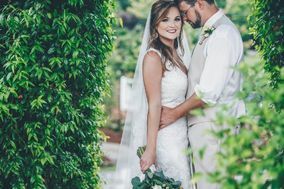 For your ceremony in Pine Mountain, choose from a storybook chapel, a lakefront beach, a colorful butterfly garden or luxurious resort and spa. 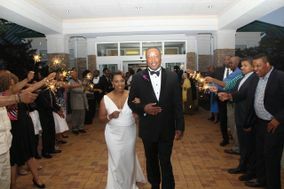 Your guests will love the chance for a mountain getaway, where weddings tend to be more casual and relaxed. 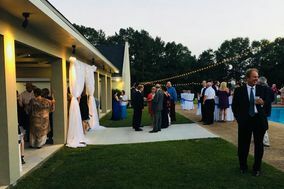 Even the most informal space in Pine Mountain can be dressed up though, so if you've got your heart set on a formal wedding, there are lavish ballrooms for your soiree. 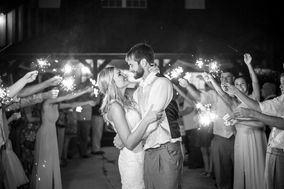 Columbus is known for its mild temperatures virtually year-round, making it the perfect spot for an outdoor wedding. 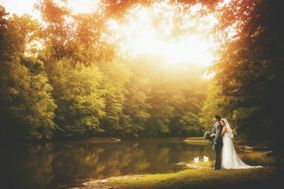 Most couples in Columbus choose late spring and early summer to tie the knot, and fall is also a popular choice. 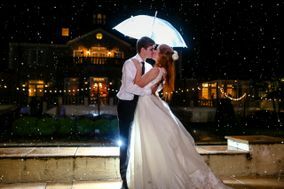 Winter weddings aren't out of the question, since the area averages less than an inch of snow per year. 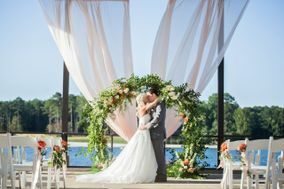 With January temperatures in the 30s, though, you'll want to save an outdoor ceremony for later in the year. 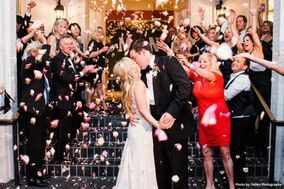 If you do opt for an outdoor wedding venue, chat with venue employees about alternative ceremony spaces in case of rain. 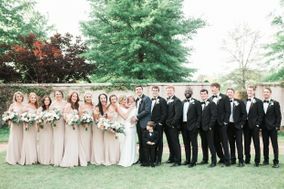 Though Columbus sees more than 200 sunny days a year, there's no guarantee of a clear forecast for the week of your wedding. The good news? 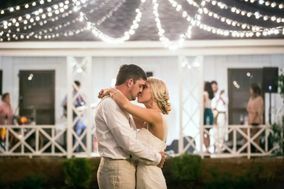 Many Columbus wedding venues are fully prepared and offer both indoor and outdoor options for wedding ceremonies. 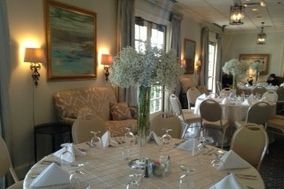 Finding your perfect Columbus wedding venue is just the first step in planning your nuptials. 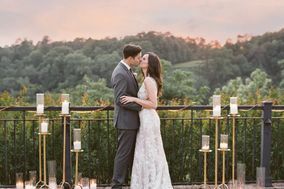 Check out our WeddingWire planning tools for guidance on budget, networking with vendors and even generating your very own wedding hashtag.